Benue State Commissioner for Finance, Hon. 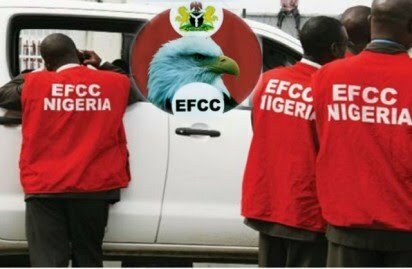 David Olofu on Thursday declared that the Economic and Financial Crimes Commission, had unfrozen the state accounts. Olofu told our correspondent on Thursday that the affected banks had late on Wednesday informed him of the directives vacating the earlier order. The Chief Press Secretary to the state governor, Terver Akase had on Wednesday confirmed the frozen of the state accounts. The finance commissioner, Olofu, while speaking with our correspondent said, “On Tuesday, we received an advisory from our bankers that the accounts of the state government have been placed on suspension. These accounts are the accounts of local government, Benue State Government House, and Benue State Government accounts. The advisory did not say specifically the reason for freezing the accounts, so I will be speculating if I say I know. But the latest news now is that I got an advisory from the same banks, that is from the Fidelity and United Bank for Africa, UBA that the directives to suspend the state government accounts have been lifted and no reason was given for that”, the commissioner stated. When asked whether he had been invited by the anti-graft agency on the allegation of the N22billion security votes under investigation, Olofu who answered in affirmative expressed deep concern about EFCC investigating the state security votes. According to him, “going to EFCC is a routine, I have been there a couple of times to throw more light on government expenditures, stating how government expenditures are made. On the issue of the security votes, I have been invited, they wanted to know specifically whether it was captured in the budget and we provided necessary documents. But you need to bear one thing in mind whether it is right to investigate security votes because one can not know in advance how many invasions that the communities will be subjected to, so some of the expenditures cannot be estimated in advance.